The ‘models’ were perfect: For lifestyle shoots I prefer to work with actors since creating real interactions among the group are essential for capturing candid moments. I’ve worked with Erik Nicolaisen, who is a professional actor based in L.A., for several advertising campaigns in California and was fortunate to coordinate this shoot with his trip to Oregon. His ability to put everyone at ease and joke with the crew set the scene, and the great wine and food also helped create a jovial atmosphere. Andrea Slonecker (red sundress, dark brown hair) is the executive director of Portland Culinary Alliance and a culinary instructor, recipe developer, and food writer. Hans Koenigseder, an Alaska airlines pilot, loves Oregon wine and appeared in the Oregon Wine Board brochures and campaign in 2007. 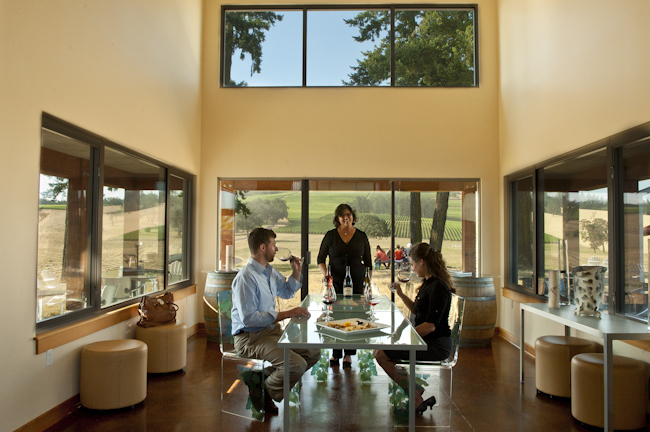 Melissa Burr (winemaker), Grace Cargni and Emily Olds (hospitality) graciously acted their real roles at Stoller, and truly add to the warm environment at the winery. 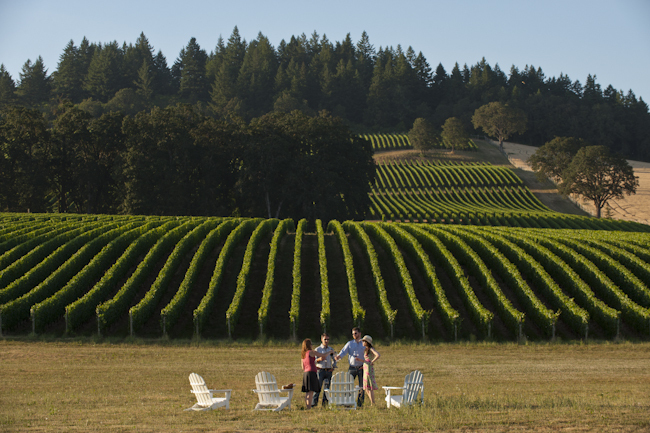 Emily Olds of Stoller Vineyards sets up a private tasting and picnic with a view overlooking the stunning estate vineyards at Stoller, Dundee Hills, Willamette Valley, Oregon. 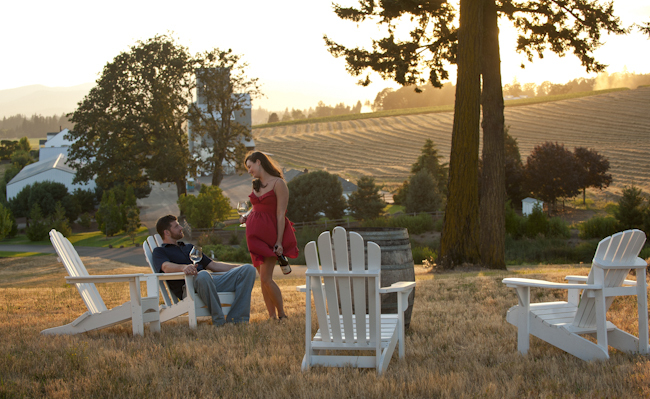 Couples enjoying the tire swing at Stoller Vineyards, Dundee Hills, Willamette Valley, Oregon. 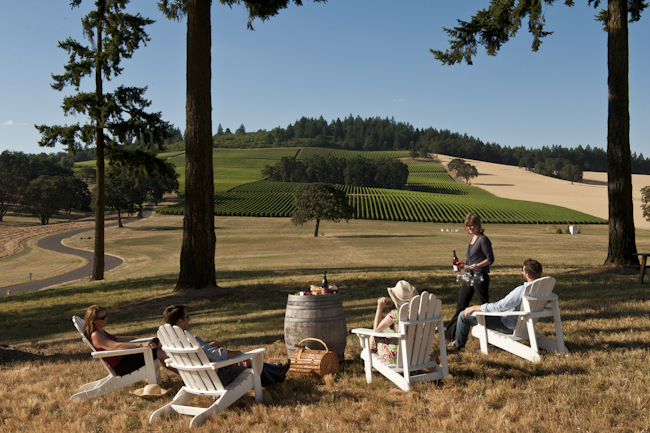 Couples enjoying a private wine tasting and picnic at Stoller Vineyards, Dundee Hills, Willamette Valley, Oregon. 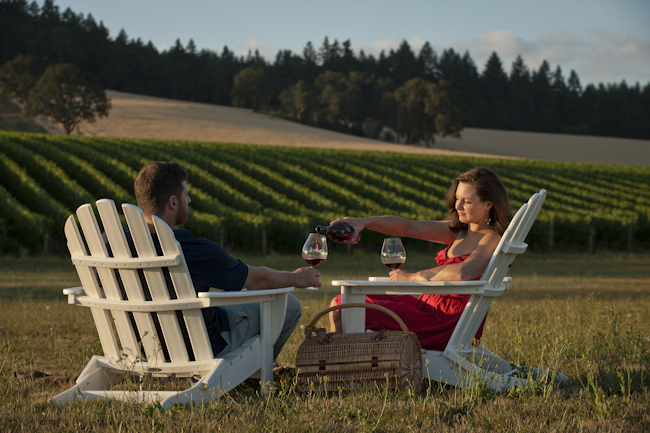 Couple enjoying a romantic picnic and wine tasting at Stoller Vineyards, Dundee Hills, Willamette Valley, Oregon. 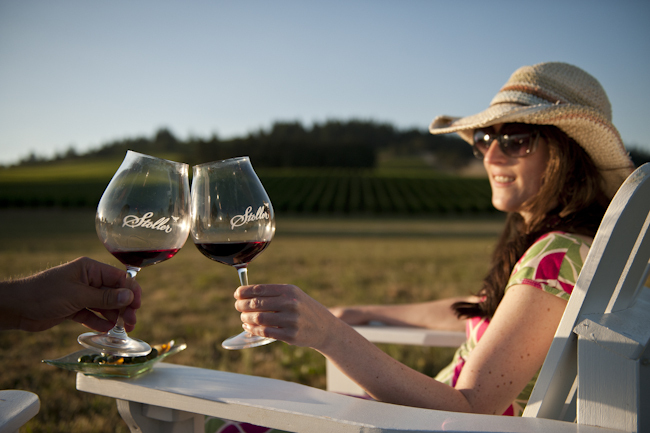 Couple enjoying wine tasting at Stoller Vineyards, Dundee Hills, Willamette Valley, Oregon. 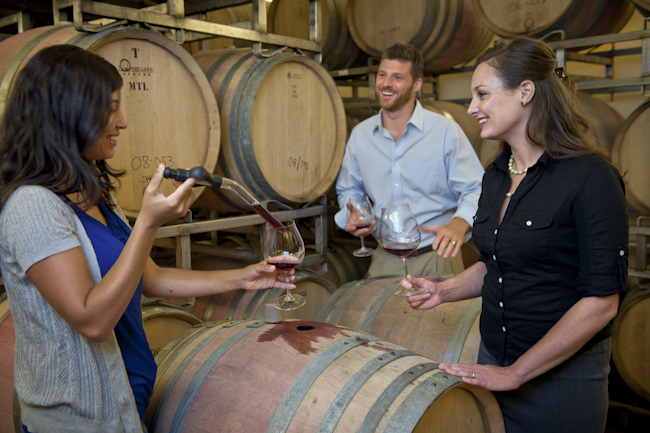 Couple enjoying private barrel tasting with winemaker Melissa Burr at Stoller Vineyards, Dundee Hills, Willamette Valley, Oregon. Stoller hospitality director Grace Cargni arranges lunch & wine tasting at Stoller tasting room overlooking estate vineyards, Dundee Hills, Willamette Valley, Oregon.